Christmas season is upon us. I can now listen to Christmas music without shame (I may have been listening to it since October…). I love this time of year. Not only do we celebrate the birth of Christ, we spend time with loved ones and carry out long-standing family traditions. This season just warms my heart. We have a Christmas Eve tradition in our young family. Little Lady is just 3 so we’re working on forming our own traditions as a family. Christmas Eve is low-key. We make cookies, wrap last-minute gifts, watch Christmas movies and just generally enjoy each other at home. We have a light dinner then head to church in the evening. As soon as we get home it’s time to put on Christmas PJ’s, set out cookies and carrots for Santa and his reindeer, and head to bed. In the spirit of a low-key day I gathered up some items I already had at home and put together a fun and festive Christmas table. I purchased the paper plates and cups, but had the rest on hand. 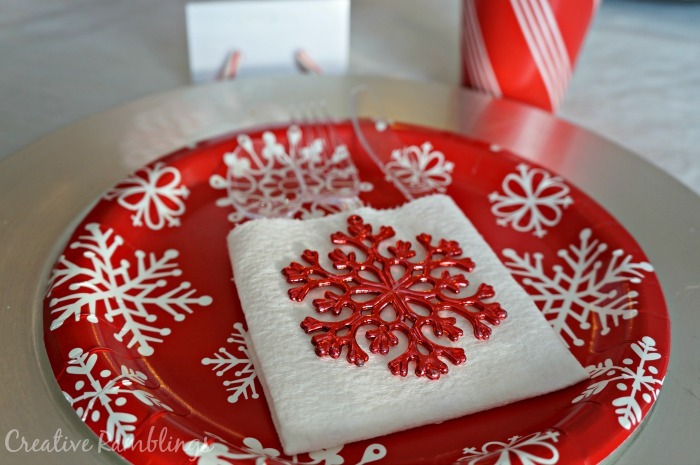 This is such an easy and inexpensive way to dress up a Christmas table. After our light meal there will be very few dishes to do. A nice treat allowing us to head off to church without feeling rushed. I love decorating with red white and silver for Christmas. This table flows nicely with the rest of the house. I’m looking forward to having a light, low-key Christmas Eve dinner with my family around this table. What Christmas family traditions do you have? So pretty! 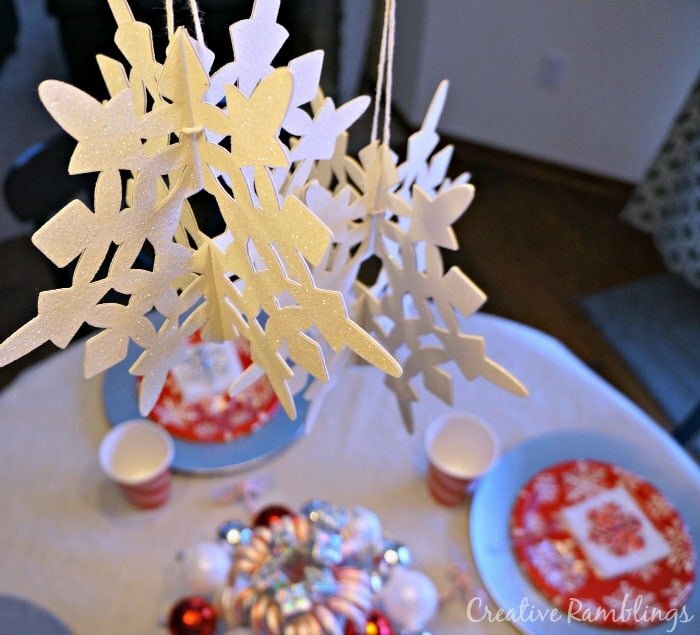 I especially love the snowflake ornaments! I love it! So pretty and festive! 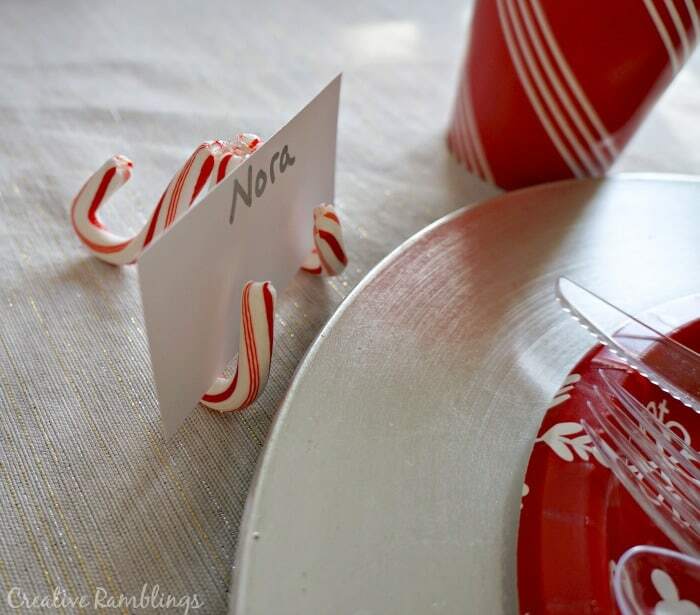 I love the candy cane name holder! Very nice. Simple and low key are the way to go, very pretty! 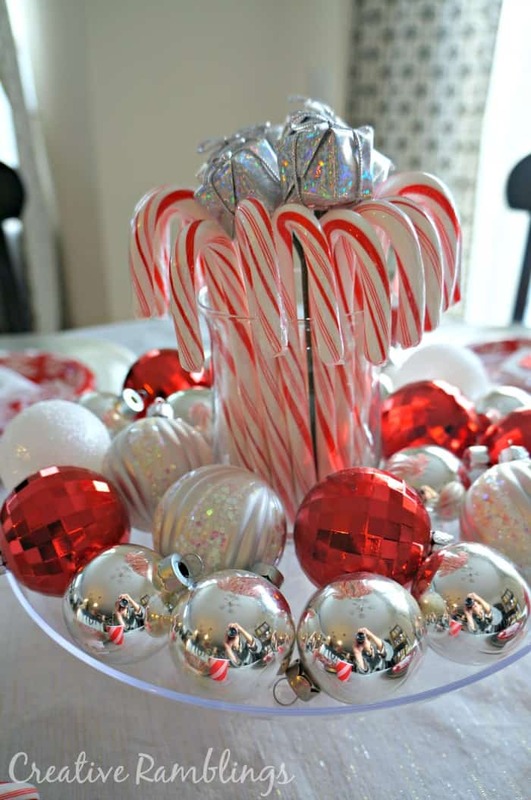 Your table looks so fun and festive and Christmasy. It’s perfect! Everything is so pretty! I love the name tag holders! So pretty! I love the red and white. Festive! This is so lovely! And so simple to do! Thanks! SoMe2!! Thank you Amanda, I appreciate the share! That’s so cute, Sarah! 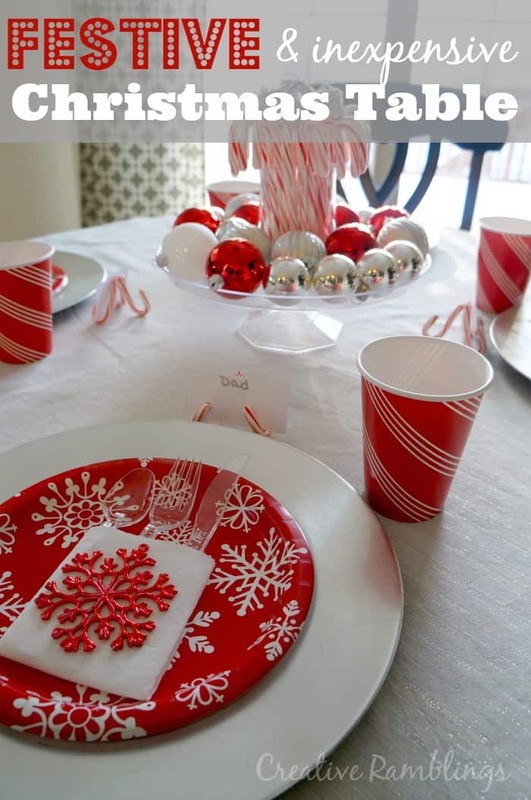 I love the candy cane theme! So cute and such a pop of color. I’m all for inexpensive! Your table is gorgeous!!! 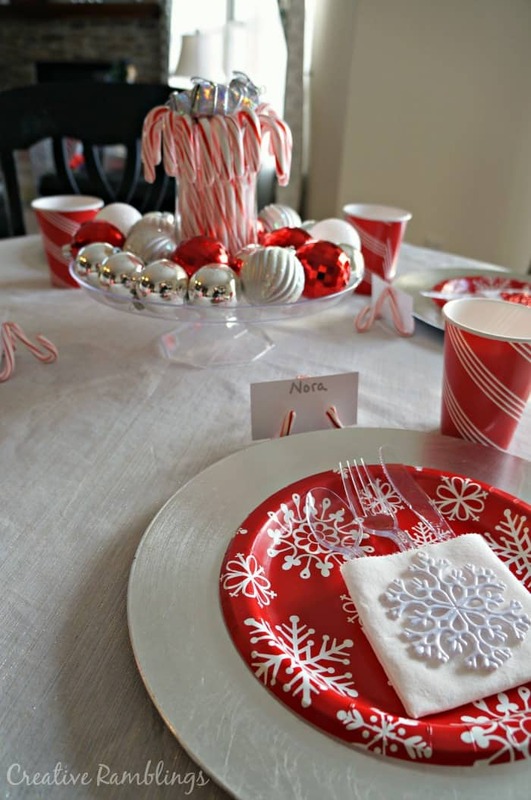 I love setting our table each month for the holidays, and colors, and seasons. I’m in awe of yours!!!!! Oh my gosh you are too sweet Heather!